Thailand is an incredibly beautiful country that truly has something for everyone. Many people dream of living in this exciting part of the world, but only a handful get to follow their dreams. It’s thought that 45,000 British expats now live in Thailand, with many choosing to find a home in Bangkok. Sathorn is the ideal destination if you want to live in luxurious accommodation and enjoy the finer things in life. Close to Lumpini Park, a beautiful green area with wide paths and pretty lakes, which allows you to escape from city life. Sathorn is also full of impressive restaurants, has good nightlife, and truly provides something for everyone. Even though the area is home to great clubs and bars, it seems to have an atmosphere about it that makes you feel like you have completely escaped Bangkok. With a mixture of city life and countryside, Sathorn could be the perfect spot if you want to live in a location that is close to a river, without paying more than you need to do so. This area has welcomed some more mature expats who want to live and work in Thailand, but wish to live away from some other areas of Bangkok that may have a less desirable reputation. If you would like to live in an area of Bangkok that is at the heart of all the action, Sukhumvit is the place to be. With a great nightlife, and many hotels and popular restaurants. Sukhumvit road itself is actually a very long road that runs as far as Cambodia. Another added benefit of living in Sukhumvit is that it’s known to be one of the best places to buy real estate and prices are on an upward trend. This means there’s a lot of demand, for homes in this part of Thailand. The BTS Skytrain network services Sukhumvit (BTS ASOK), making it relatively easy to visit different parts of Bangkok, which could be ideal if you need to travel to work, or you simply like to enjoy a day out. If you occasionally like to escape from the madness, and enjoy a little bit of quiet, you may be pleased to know that there are some quiet cafés, and luxurious day spas in the local area that can make you feel like you have left the hustle and bustle of everyday life behind. Homes in Sukhumvit can vary considerably in price, but are typically reasonably priced when compared to some other central areas. Another area of Bangkok that is well worth considering is Thonglor. Like many areas in this part of Thailand the region is home to many popular restaurants, but Thong Lor is special in that it has a huge choice of very upmarket places to eat, in fact it’s thought to be one of the best places to eat in the country. Shoppers can easily rid themselves of some of their cash in one of the many designer shopping malls and there are big brands galore on show. What’s more is you can also make use of the Japanese restaurants if you love nothing more than sushi and ramen. The supply of these is partly due to the large population of Japanese expats that live in the area. If you love nothing more than a great meal, good nightlife, and a great shopping experience, Thonglor could be the ideal destination. It is renowned as of the most upmarket areas in Bangkok. Ari is becoming an expat hub of its own in Bangkok. It is ideal if you want to live somewhere quieter and a little bit cleaner than some of the other areas of Bangkok but still provides easy access to the centre of Bangkok. Ari seems to be the ideal destination for expats and their families, because of the incredible restaurants, and great bars. There are also some great coffee shops in the area too, ideal if you want to put your feet up, and take a bit of time out. While Ari is slightly more expensive than places further away from the centre there are still some great deals to be had. A great attraction for British expats in particular are the shops that sell a range of western foods, helping them to feel a little more at home. 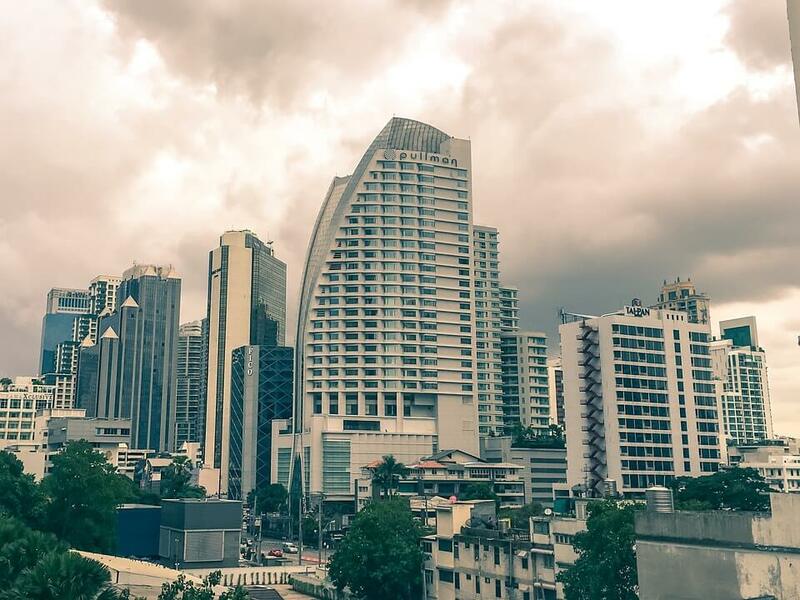 If you plan to bring your family with you to Bangkok, Ari is definitely a destination well worth considering, especially that the pace of life in the area seems to be a little slower. There are new developments springing up all the time, but that doesn’t seem to have spoiled the relative calm that the area has. Udom Suk could be the ideal location to live as a foreigner. It is classed as part of the central business district and has so much to offer to everyone, not just the tourists. From bicycle tours, to shows at the international trade and exhibition centre, and many different shopping outlets, there truly is something for everyone. Udom Suk also offers locals and tourists alike the chance to relax and unwind by treating themselves to a spa and massage, or even the chance to enjoy the Bangkok Float Centre, which isn’t far away. You’ll be pleased to know that Udom Suk is close to the main Bangkok airport, meaning you won’t have to travel far if you need to jet off somewhere. Another added bonus about living in the area is that it’s a little less urban than some areas, making you feel like you have well and truly escaped the rat race. Choosing where you’re going to live isn’t always easy, but if you like to be where the action is, then Sukhumvit could be the ideal location. However, if you’re looking for somewhere a little quieter, you may find Ari and Udom Suk are more suited to your tastes, whereas Thonglor and Sathorn fit somewhere between and also provide plenty of luxury. With so many wonderful areas in Bangkok to choose from, expats really are spoiled for choice! Tailored property service to support overseas buyers in the purchase of Real Estate & Thailand. Pre and after-sales support. Nice selection! I think it is fair to say though that wherever you choose to live in Bangkok, it is essential to select the building carefully. Noise pollution is a general problem in Bangkok, and you want to make sure your building has proper windows and so on and one impertinent neighbor can potentially spoil your peace in any area.